Bringing together music, drama, dance and the visual arts in unique formats, American Virtuosi explores historical approaches to performance and fuses them with modern theatrical sensibilities. This fresh reevaluation of musical and dramatic styles creates compelling interdisciplinary projects ranging from Medieval to Modern that engage today’s audiences in new ways. Collaborating with distinguished producing partners and exceptional creative artists, American Virtuosi moves beyond traditional boundaries to realize a pioneering vision for performance. Widely recognized for high quality theatrical productions, American Virtuosi was founded in New York City in 1992 by conductor/ harpsichordist Kenneth Hamrick. Kenneth Hamrick has attained distinction as a conductor with a range of repertories – from Baroque to Contemporary – and as an award-winning harpsichordist, fortepianist and organist specializing in ornamentation, improvisation and basso continuo realizations. Reared with a Classical education in Alabama, he further studied harpsichord, fortepiano, organ and musicology at the Eastman School of Music, Oberlin College Conservatory, Indiana University, Harvard University, and in Europe with major figures in the field of Historical Performance. Returning to New York City in 1992 he founded the vocal and instrumental ensemble American Virtuosi to infuse early music interpretation with modern theatrical sensibility. This hybrid research and performance institute brings together a range of artists to explore opera, theater and dance in new formats that have garnered international critical acclaim. This year he leads a research and performance project comparing 17th and 20th century Italian music commissioned by Vassar College and in association with the Centro Studi Luciano Berio – Firenze and Fondazione Archivio Luigi Nono-Venezia. Award-winning Sound+Vision performance projects with American Pulitzer Prize-nominated war photographer Chris Hondros (killed in Libya 2011) will continue with release of the new book and video series Testament (2014, Powerhouse Books and Getty Images). In May-June Hamrick is conductor-music director and co-producer for composer Elodie Lauten’s opera “Waking in New York” with libretto by Allen Ginsberg, in residence at New York City’s National Opera Center/ Opera America then at St Mark’s Church- Bowery as centerpiece for the Lower East Side Festival, sponsored by the Lower Manhattan Cultural Council, Office of the Mayor and City Council and winner of the 2014 Robert Rauschenberg Prize from the Foundation for Contemporary Arts. As an advocate for Arts Education, he has developed nationally-recognized public education and community enrichment projects for New York State with major awards from the Office of the Governor through the Regional Economic Development Council, NYS Councils on the Arts and Humanities, and the National Endowment for the Arts. He is currently on the team developing the new curriculum for music and dance collaborative studies for the Department of Education and the NYS School Music Association. 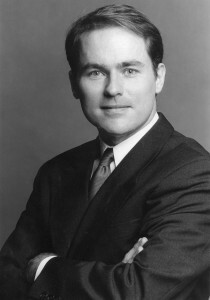 In 2012 Hamrick was cited by the Order of Sons of Italy in America for his service to Italian music, arts and culture. He participates in an international scholar exchange program for teaching at the Franz Liszt Academy of Music State University in Budapest; the Moscow Conservatory of Music and many American universities, including recent projects at Yale, Princeton, Emory and Southern Methodist University. He recently performed Bach’s Harpsichord Concertos for the New York and Connecticut Early Music Festivals, and the American premiere of Joseph Phibbs’ Harpsichord Concerto La noche arrolladora (BBC-Proms Commission) for the Weekends of Chamber Music Festivals in upstate New York broadcast on National Public Radio. Following his debut recital for the New York Friends of Mozart Society, he was immediately engaged by them to develop concerts and seminars exploring improvisation and ornamentation in Classical and early Romantic styles. Producing a group of concerts of Schubert’s chamber music on period instruments in historic NYC settings, he garnered international recognition in the series, The Art of the Piano, sponsored by Bard College, Metropolitan Museum of Art, Merchant’s House Museum and Musicora-Paris. His crossover recording with members of the New York Philharmonic on the DELOS label topped the popular rating charts. He previously conducted the New York debut of Hans Werner Henze’s Das Ende einer Welt (The End of a World) and John Harbison’s A Full Moon in March for Encompass New Opera Theater’s multi-media production Approaching Infinity at the Connelly Theater in Manhattan; Arthur Farwell’s Four Indian Melodies 1901 for the American Roots Festival of the New Jersey Symphony Orchestra, and an extensive tour for Nederlander Worldwide with tap dance legend Savion Glover in Classical Savion, a pastiche of Vivaldi, Bach, Piazzola, Mendelssohn and jazz improvisation that debuted at NYC’s Joyce Theater with a four-week extended run, then televised for Experience Lincoln Center hosted by Jon Stewart. Hamrick created the dramatic serenata Il Duello Amoroso (Dueling Love) from Handel’s Italian cantatas which has been performed to wide critical acclaim. Filmed in the landmark Astor Van Allen mansion, the production is the first in a series of opera films set in historic New York City buildings produced by Diabolicus Films. For New York’s Millennial Arts Productions, Hamrick served as music director for the Baroque Opera Institute, conducting his newly-conceived, fully-staged productions of The Birth of Opera: Venice 1600/ New York 2000 and La Féte d’Atreus: a French Baroque Tragédie Lyrique, the provocative staging of Handel’s Messiah at John Jay Theater/ Lincoln Center, hailed as a “must see event of NY’s Millennium Celebration’ by the New York Times, then became the centerpiece of the 2000 Holland Festival Oude Muziek Utrecht. A short film about that production currently airs on the Ovation network. He was a featured player and received prizes at festivals and competitions in the United States and Europe including the Festival Van Vlaanderen – Brugge; American Guild of Organists; Fort Wayne International Competition; Arthur Poister Organ Competition of Syracuse University; Johann Sebastian Bach International Harpsichord Competition in Leipzig; Dublin International Organ and Choral Festival; Odense International Organ Festival; The Paul Hofhaimer Prize of the City of Innsbruck; and the Swiss National and Albert Schweitzer Festivals of Young Organists. He resides in New York City and in the upstate Catskill Mountains, also maintaining residence at Chateau Castelfranc in southwest France where he produces an annual music and arts festival in partnership with the Dandelon Trust UK.